How do I view my Giving Day registration details? 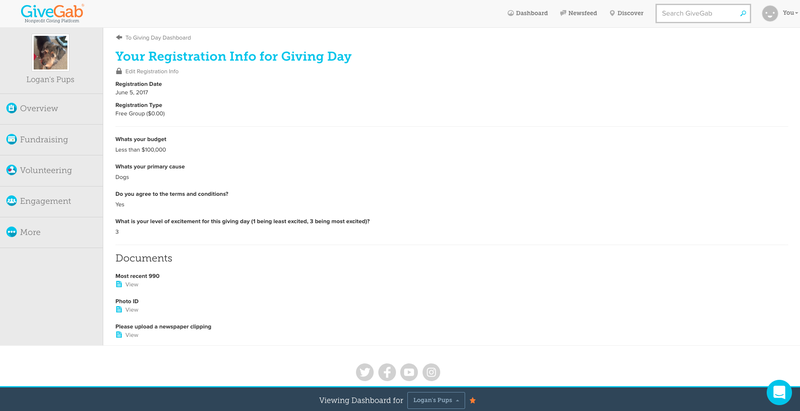 The information you entered when registering for your giving day is viewable from within your giving day dashboard. 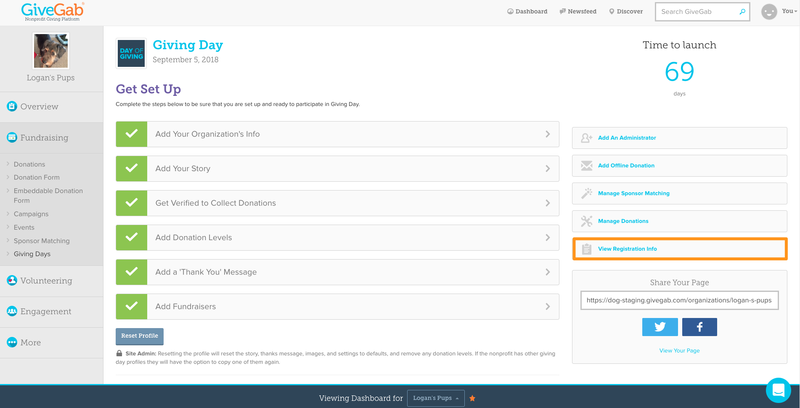 Step 3: Select "View Registration Info"
From your Giving Day Dashboard, click on the "View Registration Info" link from the menu on the right. Your registration info and any documents you have uploaded will be viewable here. If you need to change any of this information, please contact us at customersuccess@givegab.com or use the blue chat bubble for assistance.